2009 by Tony Tracy. This text may be archived and redistributed both in electronic form and in hard copy, provided that the author and journal are properly cited and no fee is charged for access. The fortunes of Irish cinema took a paradoxical turn in 2008. Years of economic boom turned to bust and with it went long-held ambitions for a sustained period of cinematic creativity and even greatness. For most of a century the emergence — and then development — of Irish cinema had seemed stymied only by financial constraints. But in spite of tax breaks, massive increases in the funding of the Irish Film Board and a proliferation of training and educational opportunities, indigenous cinema did not rise on the tide of prosperity to command the attention and admiration generated by Irish theatre and literature over the past decade and a half. Indeed Irish cinema in the past 5 years — despite noble efforts and individual successes — has seemed less promising and less sure of itself than at any time since the reconstitution of the IFB in 1993. There have been an ever-decreasing number of films being made, fewer still receiving distribution and a handful attracting wider audiences and comment. The paradox is that just as we hit the most serious economic trough in decades there are renewed signs of vigor in this most intermittent of cultural forms of expressions. The reasons for such an upturn are complex, various and not always clear but there is once again a strong lead being demonstrated by the IFB who must take a large part of the credit for renewed vigor in the sector. This year’s Irish Film and Television Review once again attempts to reflect the diversity of that activity in capsule form. In addition to a mix of single-title reviews of work on big and small screens, we are pleased to include a number of pieces which offer themes for broader considerations of Irish audiovisual production at this time. Barry Monahan offers us a context for such reflections in his essay on the establishment of Ardmore Studios as it turns fifty; a longtime symbol and bellwether of the mixed fortunes of our film industry. We are also pleased to include an essay on the late Tom Jordan Murphy, whose rare acting talent, according to Michael Patrick Gillespie, often rose above the material he was able to find work in. And we make up for omissions in earlier editions by the inclusion of two short essays on genres which remain stubbornly under examined in considerations of Irish film: the short film and animation. 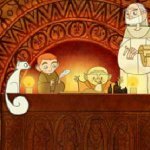 In 2008 an impressive twenty-five IFB-backed feature film projects started production, in addition to a number of animated features and feature-length documentaries. This makes for something of a record. Although we were surprised and delighted by the number of Irish films showing at local and international festivals, finding an audience remains a stubborn and challenging obstacle to the sector. While 2008 saw theatrical releases for Alarm, A Film With Me in It, Kisses and Hunger, only Kisses and Hunger managed to achieve any critical mass at the domestic box office. More surprising was the limited release achieved by the RTE funded Eden (an adaptation of Eugene O’Brien’s play) in both Dublin and on the east coast of the United States, proving that quality writing will always attract an audience no matter how small the production. Feature documentaries played a small but credible part in the overall domestic cinema program with Seaview and Saviors the most notable productions. Films which have yet to be seen outside festivals include Seer, Ghostwood, Our Wonderful Home, Summer of the Flying Saucer and Anton. For many, Hunger was the highlight of the Irish film year and while its director Steve McQueen is an English artist of international renown its script was by Dublin-born (London resident) playwright Enda Walsh. Walsh of course is best known for his play (and screenplay) for Disco Pigs but his spare and compelling script for the Bobby Sands story pushed the Troubles out of a narrow narrative territory to a wider audience and set of concerns and brought the film a slew of prestigious awards. Additionally, Walsh’s plays The Walworth Farce and The New Electric Ballroom played on national and international stages throughout the year to widespread acclaim, making 2008 a breakthrough year for a really impressive talent. Both Hunger and The Walworth Farce intersected with Ireland’s long and complex relationship with the United Kingdom and both — thematically and in their respective production circumstances — can be understood as enlarging the terms of reference of a national cinema/culture in interesting ways. In addition to the success of Tommy Collins’ Kings, it is interesting to see the Irish Diaspora in Britain now producing challenging meditations on this knotty and ongoing association. Evidence of this relationship was present in far less direct terms in In Bruges by the most famous representative of the English Irish Diaspora, Martin McDonagh. 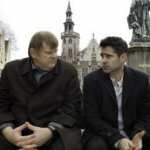 With this inventive, violent and often very funny film McDonagh placed two Irish hit-men on the run (Colin Farrell and Brendan Gleeson) in the very unlikely setting of the city of Bruges. Along with the fact that the film was a British/American production (Scionn / Focus films) questions of a national cinema become highly problematic in any schematic sense here since the hit men were clearly residents of London where their boss (played by Ralph Fiennes) had banished them. Nonetheless McDonagh did not make these misfits Irish by chance; the cadences of their speech as well as their general outlook were undeniably formed by specific cultural and social circumstances which the writer has explored repeatedly and so successfully in his stage works. By contrast Lance Daly’s Kisses was very much a home-grown production and generated a good deal of excitement as a successor to Once — a low-budget, Dublin set tale of unconventional love; this time between two working class teenagers who embark on an overnight odyssey through Dublin. While Daly has demonstrated a distinctive and individual cinematic sensibility in earlier films (Last Days in Dublin, The Halo Effect) Kisses marked a maturing of style and technique and can be placed alongside both Onceand Adam and Paul in particular in terms of a peripatetic structure and a more European tone and aesthetic. It received a decent domestic release and extensive marketing by its local distributor signaling an encouraging faith in less generic and more ‘arty’ filmmaking in a cinema marketplace largely shaped by predictable patterns of genre, star and ‘cross–platform’ products. That is not to say that Irish cinema has dispensed with genre; albeit with local inflections. Horror and supernatural subjects continue to be the choice for young and experienced filmmakers, and several local productions — Seer, The Daisy Chain, Bog Bodies, Ghostwood — were seen and heard of at festivals but none have so far registered in the wider marketplace. Gerard Stembridge made a valiant, if mistimed, contribution to the uneven history of Irish thrillers with Alarm which combined his typically keen sense of topicality with elements of Hitchcock. But the film clearly spent too long in development; its topical edge blunted by its familiarity while its thriller plot felt arbitrary and bolted on; a generic substructure to a thin idea. Stembridge’s talent as a satirist requires a fast turn around from idea to audience and the fact that he has recently published two novels in quick succession demonstrates that even writing a book can be a quicker process than making a film. A knowing tone of self-consciousness characterizes Ian Fitzgibbon’s black comedy A Film With Me in It which played on this tension between the demands of genre and the desire for realism that Irish cinema continually and inevitably inhabits, caught in its search for an expression of the local and an international audience. The film was a slight if often very funny concoction perhaps better suited to the structures of television than the more demanding setting and audiences of the Cineplex. On the small screen, Irish television continued to be a site of interesting and often more achieved productions. While homegrown drama was not as conspicuous as in previous years, documentary productions were once again plentiful and engaging. Particularly notable in this regard was Pat Collin’s intimate and honest portrait of actor Gabriel Byrne, Stories from Home. Collins has shown himself a master of this kind of film in the past with memorable portraits of John McGahern (John McGahern: A Private World) Michael Hartnett (Necklace of Wrens) and Frank O’Connor (Frank O’Connor: The Lonely Voice). Another ambitious documentary project — reviewed here — was TG4’s three-part Striapacha: Trí Chéad Bliain Duáilcis (Prostitutes: Three Hundred Years of Vice). Another ambitious documentary project — reviewed here — was TG4’s three-part Striapacha: Trí Chéad Bliain Duáilcis (Prostitutes: Three Hundred Years of Vice). Another three part series dealt with the second oldest profession inBertie, an expansive effort to explore the most successful Irish politician of recent years who was at his most cunning even in the timing of his departure. 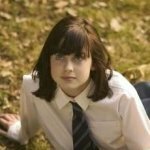 The most talked about TV documentary of 2008 wasFairytale of Katmandu; a project which started off as a simple observational film of a respected Irish cultural figure and emerged as something darker and more complex. This small film became an unlikely focus of conversation, comment, accusation and defense across the Irish media and in Irish life following its broadcast. This year’s review also extends its boundaries of consideration (some might say taste) to consider a reality show; The Apprentice, a trans-Atlantic format which extols the virtues of entrepreneurial capitalism that arrived just in time for the collapse of the economy. We began by noting that just as the economy enters a period of prolonged crises, Irish film and television is in a surprisingly healthy state as an industry, with many projects at various stages of the production cycle. 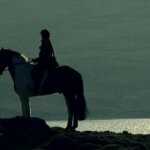 To indigenous film has been added a raft of international co-productions, which speak little, if at all, about Irishness (whatever that may mean these days) and maximize tax incentives across international boundaries. Irish film as a form of cultural expression remains uneven and fitful. Michael Patrick Gillespie argues in his recent book1 that Irish cinema has by and large sold its soul in an ongoing process of internationalization and as such has become more difficult to speak of as an identifiable and discreet entity. Gillespie speaks of ‘The Myth of an Irish Cinema’ as applying across most genres of Irish film making with the notable exception of what he terms ‘working class films’. It is abundantly clear that national identity is no longer the discreet and finite conceptual framework it once was; we live in the age of the global. Ireland has pursued a prolonged period of internationalization over the past decade and a half that formed the basis of its prosperity as well as, ultimately, the seeds of its current crisis. 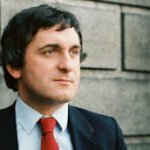 If so called ‘working class films’ seem more authentic than others, it is mostly because (as Gillespie notes) they reflected one area of Irish society that has remained largely unchanged since the 1970s; the social group which remained largely static and untroubled by the over worn Boston/Berlin identity dilemma. As this year’s feature releases demonstrate, when Irish cinema attempts to go beyond the long-established mode of realism it risks saying nothing at all; seemingly incapable of finding human truth in anything but material deprivation. The only way beyond the binary of poverty or genre is better crafted, more imaginative writing that speaks of wider universal human concerns. As Enda Walsh and Eugene O’Brien (as well as Conor McPherson and others) have demonstrated, that is primarily coming from Irish theatre. Instead of endlessly attempting to shoehorn national stories into international frameworks, perhaps Irish cinema ought to pay more attention to its roots in drama where there is a repository of world class writing and acting talent. As the world economy continues to contract there is an inevitable and urgent return to the local as a potential alternative to global capitalism gone awry. After a decade of global ambitions when the Irish sought to speculate in real estate from Boston to Beijing it will be interesting to note the effects of such a contraction on our audiovisual storytelling in the year ahead.